The reason your furnace is leaking depends on what type of furnace you have. 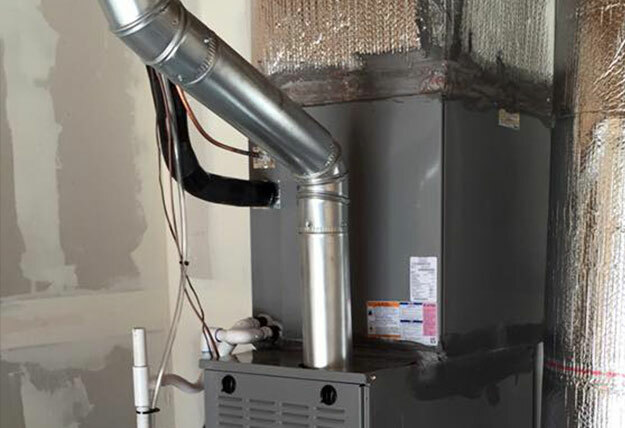 Lucky for you, determining which type of furnace you have is fairly simple. Below we’ll discuss where your furnace leak could be coming from depending on which type of furnace you have. Note: If you notice water near your furnace but you only see leakage after using your AC, it’s likely your AC that is leaking, not your furnace. Want to save yourself some time and leave the diagnosis to a professional? Learn more about our furnace repairs or schedule online and we'll send help right away. Some furnaces have a small device attached to the outside, called a humidifier. 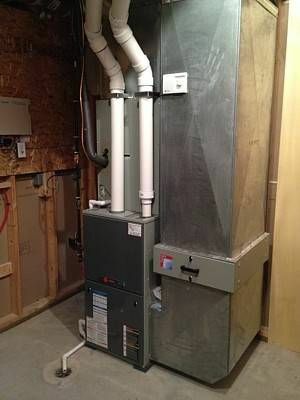 This unit adds moisture to the warm air the furnace blows into your home. If there is an issue with your humidifier (leak or clog), it can cause the water circulating through the humidifier to leak out, resulting in what many homeowners think to be a furnace leak. The fix: Contact a professional. An expert will need to diagnose the clog or leak and fix it. A flue pipe carries gases produced by your furnace out of your home. If your flue pipe is improperly sized or was installed incorrectly, the gases move too slowly, allowing them to cool down, condense inside the flue and drip back toward the furnace. While this may look like water leaking from your furnace, it’s actually furnace gases that have turned into their liquid form. The fix: If you have a faulty flue pipe, you’ll need a professional to diagnose the exact issue and replace or redesign your flue pipe. The bottom line is the leak you’re seeing is likely condensation. Unlike a conventional furnace which has 1 heat exchanger, a high-efficiency furnace has 2 heat exchangers. Why? Having 2 heat exchangers allows your furnace to absorb more heat from combustion gases before they exit the system...it also means the heat absorption process is longer. Instead of traveling through 1 heat exchanger, the gases in a high-efficiency furnace have to travel through 2. By the time they reach the end of this cycle, they have had time to cool down, changing from a gas to a liquid state. This results in condensation. When everything is working properly, that condensation should drain away from your home cleanly via the condensate drain system. If you see liquid pooling around your condensing furnace, it means condensation is escaping when it shouldn't and you likely have one of the following problems. If there is a crack in the heat exchanger, condensation can leak out, causing what appears to be water near the floor of your furnace. The fix: Contact a professional. A cracked heat exchanger is an expensive fix, so you should be sure to have an expert diagnose the issue before moving forward with any repairs or replacements. However, this is not a repair you want to wait on, if your heat exchanger is cracked, it can release dangerous gases like carbon monoxide into your home. Like we mentioned above, condensation is drained out of your furnace through a system of condensate pipes. If your furnace hasn’t been serviced properly/regularly or if there are leaks or clogs in any of these pipes, the condensation can spill out, ending up on the floor around your furnace. 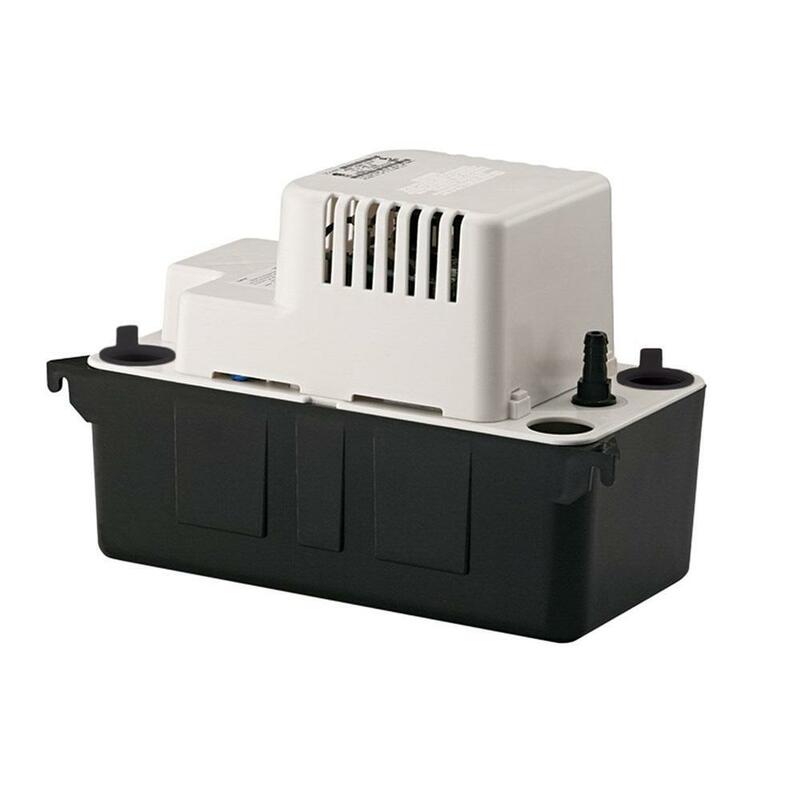 A condensate pump looks like a small white box connected to the PVC drain pipe on your furnace. Its job is to pump water toward the drain. If there is an issue with the condensation pump, you will usually be able to see water dripping from the pump. The fix: Have a professional replace your condensate pump. As mentioned above, all of these issues will need to be fixed by a professional. We understand that hiring a professional costs you time and money, but it’s worth the investment. While a little water pooling around the bottom of your furnace doesn’t seem like a big deal, it’s an indicator that something is wrong, and could turn into a larger issue if it isn’t resolved as soon as possible. If you’re experiencing some of these issues, like a cracked heat exchanger, you could also be putting yourself and anyone in your home in danger if you don’t repair your furnace ASAP. Need a professional to fix your furnace leak? Our Phoenix tech can help. Schedule your furnace repair today!